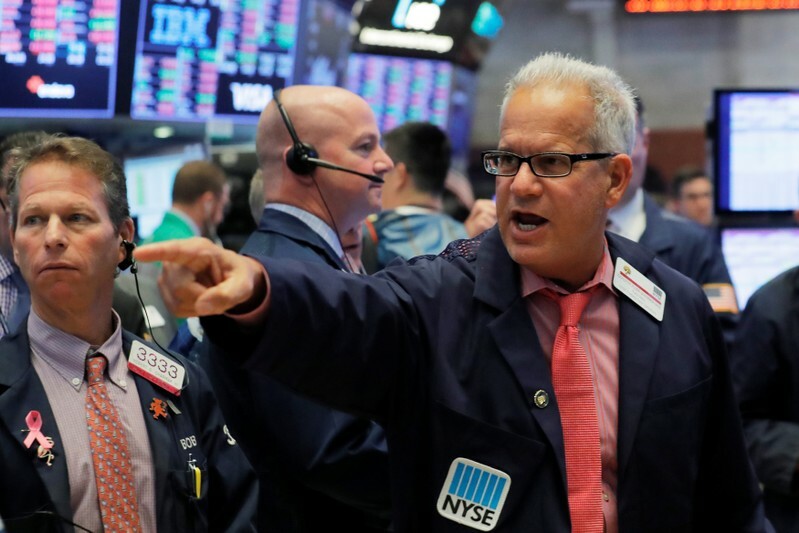 (Reuters) – Wall Street rose on Friday after a bounce in technology and other high-growth stocks led a fight back from its worst two-day slide in eight months, while early gains from strong earnings of the biggest U.S. lenders faded. PNC Financial <PNC.N> led the losses among bank stocks with a 6.3 percent drop after the regional bank reported disappointing quarterly loan growth and said it expected only a small improvement in lending this quarter. The S&P 500 banks index <.SPXBK> slid 1.65 percent, also weighed down by JPMorgan Chase & Co <JPM.N> reversing early gains to trade down 1.8 percent despite its quarterly profit beating expectations. The only gainers among banks were Citigroup <C.N>, which rose 0.6 percent and Wells Fargo <WFC.N> which eked out a 0.64 percent gain after upbeat results. Netflix <NFLX.O>, Amazon <AMZN.O> and Apple <AAPL.O> — some of the names that took a hit from an erratic selloff this week — rose between 1.9 percent and 5 percent. The S&P 500 technology index <.SPLRCT> rose 1.77 percent, providing the biggest boost to the S&P 500 <.SPX>. At 1:33 p.m. ET the Dow Jones Industrial Average <.DJI> was up 56.52 points, or 0.23 percent, at 25,109.35, the S&P 500 <.SPX> was up 12.26 points, or 0.45 percent, at 2,740.63 and the Nasdaq Composite <.IXIC> was up 88.23 points, or 1.20 percent, at 7,417.29. 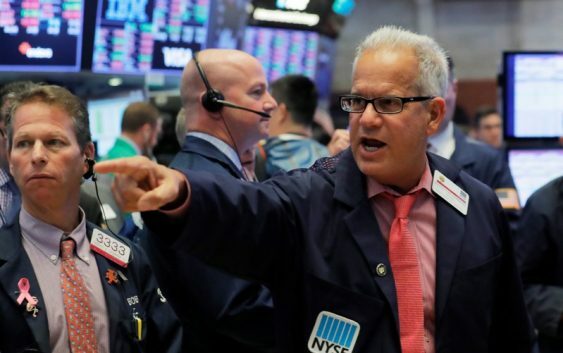 Among the major gainers were the consumer discretionary <.SPLRCD> and communication services <.SPLRCL> sectors, which rose 1.20 percent and 1.15 percent, respectively. The two sectors, along with tech, house the high-growth FAANG group. Amazon <AMZN.O>, Apple <AAPL.O>, Netflix <NFLX.O> and Alphabet <GOOGL.O> were trading higher between 1.4 percent and 5 percent. Facebook <FB.O>, however, gave up early gains to trade 0.4 percent lower. The company confirmed that a security breach announced late last month gave attackers access to about 30 million accounts, of which name and contact details were stolen of 29 million people. The S&P index recorded no new 52-week highs and 49 new lows, while the Nasdaq recorded eight new highs and 197 new lows.